Which player should you choose to get your double points in round one? The countdown to match one is now on and it’s time to put the final touches on your team, which means picking your captain for round one. With five games, unlimited trades and multiple teams having double game rounds, you’ll never have more options to choose from so let’s break down the best few! Click here for sample team ideas. 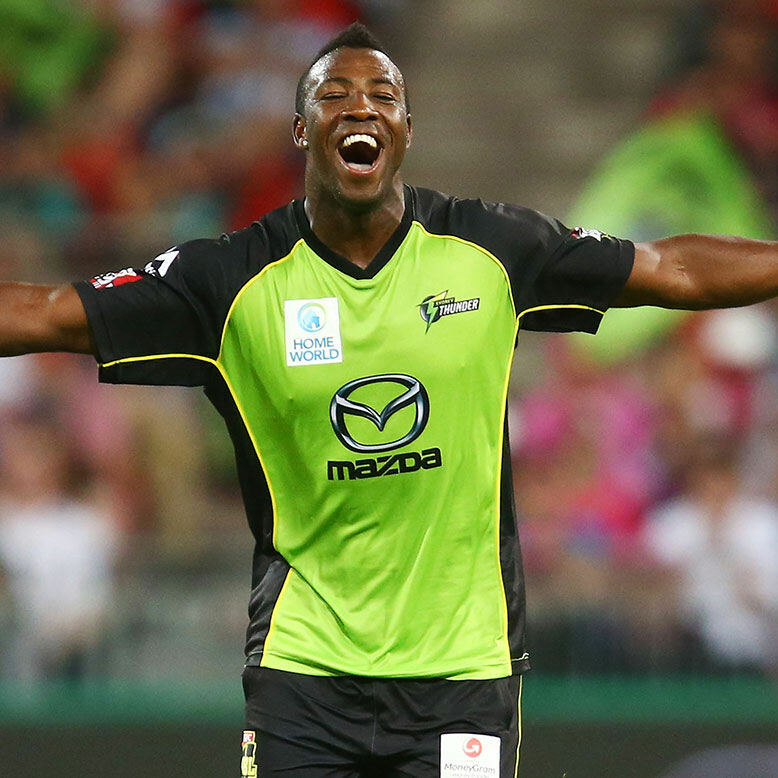 The immediate player that comes to mind is the most expensive playing who will take part in round one, Andre Russell. The Thunder are one of three teams who play twice this round and you can’t go wrong picking the power-hitting all-rounder as your captain. In his two games against the Sixers last season, Russell averaged 25 runs and two wickets (65 points). You would take that by itself, but the fact that he’ll have a second game against the Renegades makes it even more tempting. He didn’t have a great game against the Melbourne based team last season, but still took two wickets. The only reasons against picking him could be that he bats deep in the order, but with the Thunder’s lack of depth, he might be at the crease earlier than normal. Roy is the Sydney Sixers’ big-name international import, brought in to open the batting for the team with the worst squad in the tournament. It’s fair to say he’s going to have a lot of work to do to carry this side, but since he will open the batting and the Sixers play twice, he’s someone you have to consider for the captaincy if you pick him. Some internationals do struggle in their first few matches in the country, especially those that haven’t played BBL before, so it’s tough to gauge what we’ll get from Roy. The Strikers are the third team with a double game round and their best captain option is Travis Head. Head looked in excellent touch for Australia during the ODI series, averaging 49 runs and bowling 14 economical overs, taking two wickets. Head was one of the best of BBL|05 and it’s hard to see him not carrying the Strikers again this season. He’ll play game one at home against a sub-par Brisbane Heat bowling line-up and then game two versus the Scorchers who’ll be without Coulter-Nile, Behrendorff and Paris. Slightly cheaper than Russell, he might be just as good of an option. After missing the entire of BBL|05 with an injury, the West Indian all-rounder is back and has to be considered a captaincy option given the calibre of player he is at his best. His price means he’ll probably find himself in most teams, but you could give yourself the edge by slapping the ‘C’ on him. He’s very capable of being one of the highest scoring players of the tournament. Shaun Marsh has been a BBL bully in recent years. Whenever he’s graced the competition with his presence, he’s usually done something spectacular and earned an international recall. Having just recovered from a broken finger, Marsh has been usurped by young-gun Matt Renshaw in the Test team and will probably spend the entire tournament in the BBL. He’s a man out to prove a point and coupled with his previous form, makes him the best captain’s option outside of the double game players. Edit: Watch selection closely as Marsh is “touch-and-go” with a finger injury. Sam Billings: The Sixers play twice, Billings will bat in the top five and might takes the gloves as a bonus. He’s a quality player and capable of a big score across two games. Mitch Marsh: In the same boat as his brother, Marsh has dominated the BBL in previous tournaments and as an all-rounder, is capable of scoring big every week. Eoin Morgan: Morgan is the highest ranked international in terms of ICC T20 rankings in this tournament and will certainly be worth a look with the Thunder’s double game round. Dwayne Bravo: Bravo scored 102 points against the Thunder last season and that alone makes him worth considering – not to mention he’s, you know, Dwayne Bravo. Kurtis Patterson: Patterson will open the batting for the Thunder and that automatically makes him a captain’s option in a double game round. His form has also been good. Good luck for round one folks and make sure you keep your eyes out for those final teams! They don’t come out until a few minutes before the matches start so you’ll need to be alert! When making trades, if only two have been used does it rollover to next week or do we not get it? This is my team from round one! Are these good trades for Round Two? Give me your thoughts it they are good trades or what?